"I'm really thrilled. It's been a 12-month program with this boat, and M.A.T., who have done a beautiful job, for the boat is superbly finished. 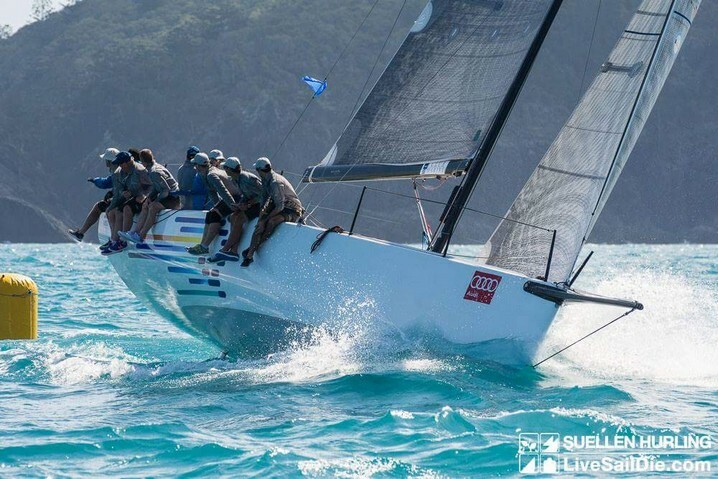 Mike Green sailed with us for Hamilton Island Race Week and he was very impressed, based on all his experience with building and sailing high-end boats. I do think it is the result of using SP Systems/Gurit to do all the engineering, which wasn't cheap, but the results are speaking for themselves. did their best and we learned a lot. If she gets a breeze, this Quest is a rocket ship", which certainly is a big statement from a guy who had a TP52!